We grow our own proprietary non-GMO industrial hemp cultivars, specifically bred to produce high concentrations of phytocannabinoids. All cultivars are stable in their limited expressions of THC – testing well below the legal limit of 0.3% by weight. Hemp is a highly effective bio-accumulator. This means that hemp plants pull any toxins and heavy metals out of the ground, and concentrate them inside of the plant. Our fertile wetland soil, often having never previously hosted any type of agricultural activity, is carefully analyzed before spring planting. We test potential cultivation sites for toxins, heavy metals, and other contaminants to ensure that our hemp products are of only the highest quality and cleanliness. The Medicine Farm is committed to only organic cultivation practices, in living soil with minimal external inputs, for true ecological sustainability. Each season, our crops are rotated from field to field in order to preserve soil health and prevent the fostering of any pests or pathogens. Additionally, we use symbiotic techniques such as biologic pest prevention and companion planting to ensure our crops produce the cleanest and most efficacious hemp CBD products available. 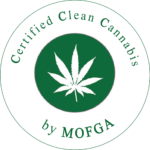 As of 2018 our Hemp is MC3 Certified by Maine Organic Farmers and Gardeners Association. The MC3 mission is to verify that cannabis is grown, processed and handled within guidelines paralleling those of The USDA National Organic Program (NOP) and the American Herbal Products Association (AHPA), thereby assuring safe, quality medicine.